But we don’t want to stop swimming! Chances are if you own a swimming pool, your children have told you that! Hey you’ve probably said it yourself because summer and swim time is fleeting! Is it time to add a swimming pool heater? It certainly is something to think about and something to talk with your pool contractor from Tipton Pools, in Knoxville, Tennessee about. Pool owners in the northeast part of the country, understand that pool season is far too short. Those pool owners who live in the south or west typically get more swim time than most, but even if it’s still not “cold” the pool water could have your teeth chattering! 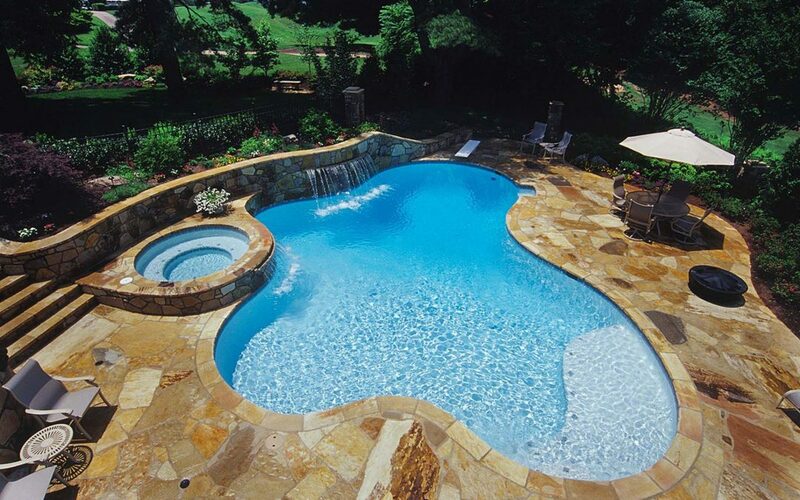 The pool contractors from Tipton Pools in Knoxville, TN explain the swim season in your backyard pool can be extended if you invest in a swimming pool heater. Gas either propane or natural gas. It’s efficient and effective. Heat pumps. These rely on the warmth of the ambient air to help heat the water. If the ambient air is cold — your water won’t be warm. Solar powered heaters. Ideal if there is enough sun. Although a solar system can store heat and are able to do more than you’d think with heating even on a cool, cloudy day. Gas heaters will heat the water the quickest. Investing in a high efficiency gas pool heater means you conserve money and operate at close to a 90% efficiency. When you run a pool water heater, the device is continually circulating water and re-circulating it and this means you will have a continuous supply of warmed water to make a swim even more enjoyable. Is this the year you extend your swim season and heat your pool water? Give us a call if you have any questions!